Designed by Alejandro Paul and Kathy Milici in 2015. Published by Sudtipos. Gratitude supports up to 48 different languages such as Spanish, English, Polish, Kurdish (Latin), Hungarian, Slovak, Danish, Latvian, Irish, Estonian, and Icelandic in Latin and other scripts. 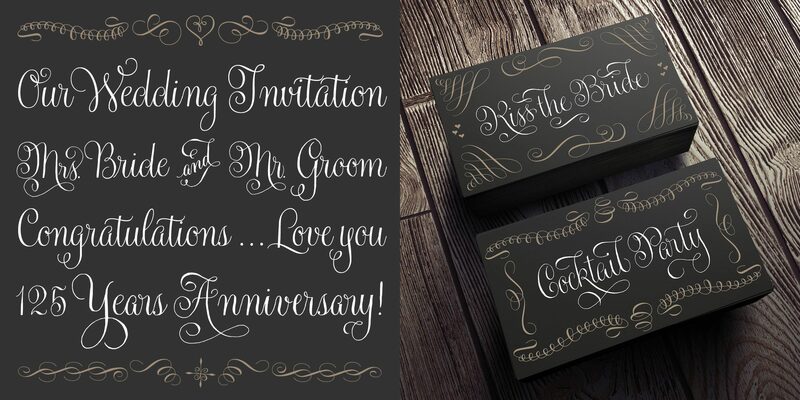 This lighthearted script comes from the collaboration of wedding calligrapher Kathy Milici and script type master Ale Paul. Get the Script and Ornaments in both rough and smooth cuts, plus a set of catchwords (rough only).